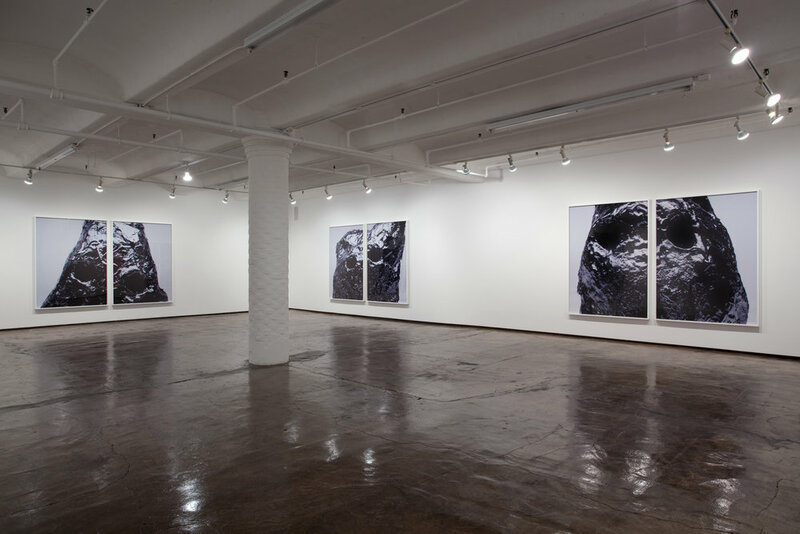 Jack Shainman Gallery is pleased to present Pascal Grandmaison's inaugural solo exhibition at the gallery and in New York. 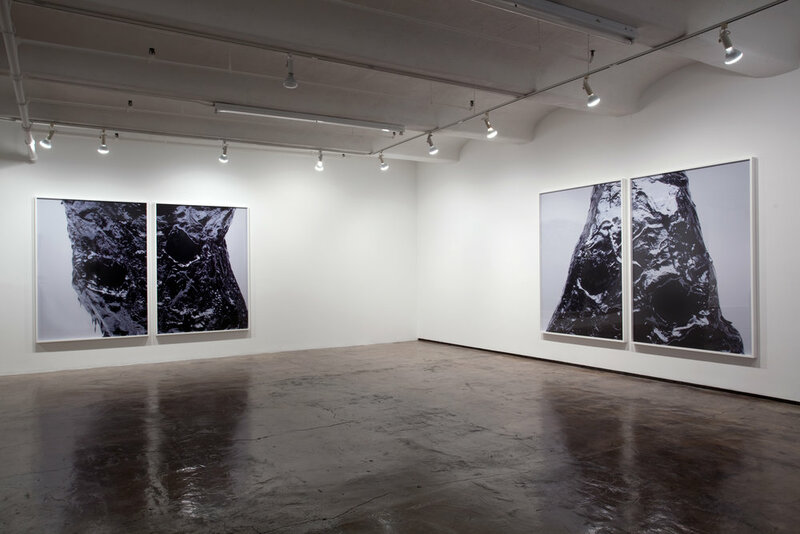 Grandmaison has become known for the contemplative themes of his large-scale photographs and works in film and video. Capturing a psychological complexity through a minimal and detached perspective, his diverse subjects range from pensive portrait images to deep meditation on the legacies of modernist architecture and an ongoing analysis of the operations of photography and filmmaking. 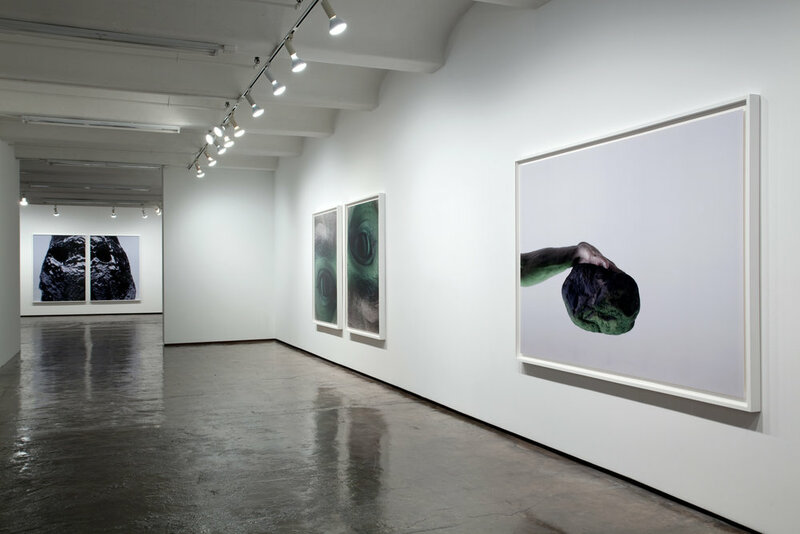 Grandmaison refers to this exhibition (which includes a number of large-scale photographic diptychs and two films) as an exploration of reality and truth, how we deal with the transformation of fact, and how subjectiveness can create an illusion of the real. 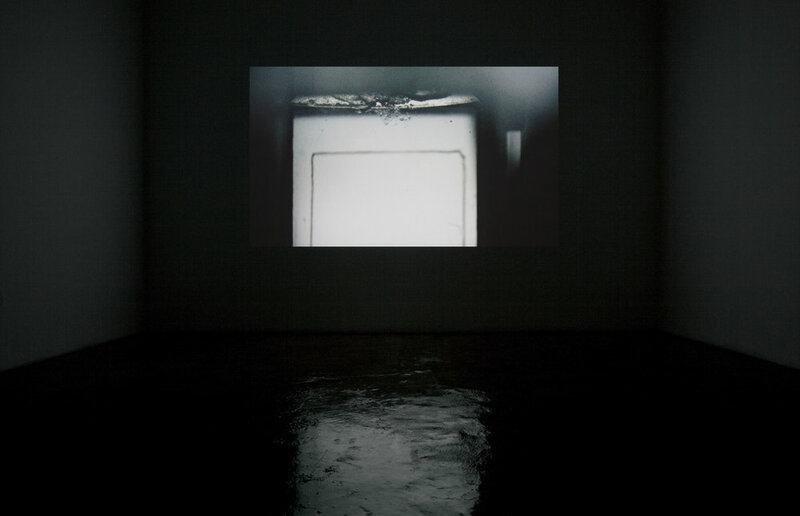 The title of the exhibition "The Inverted Ghost" posits the idea of the polarization between reality and fiction with the ghost alluding to both that which is hidden and that which is invisible. 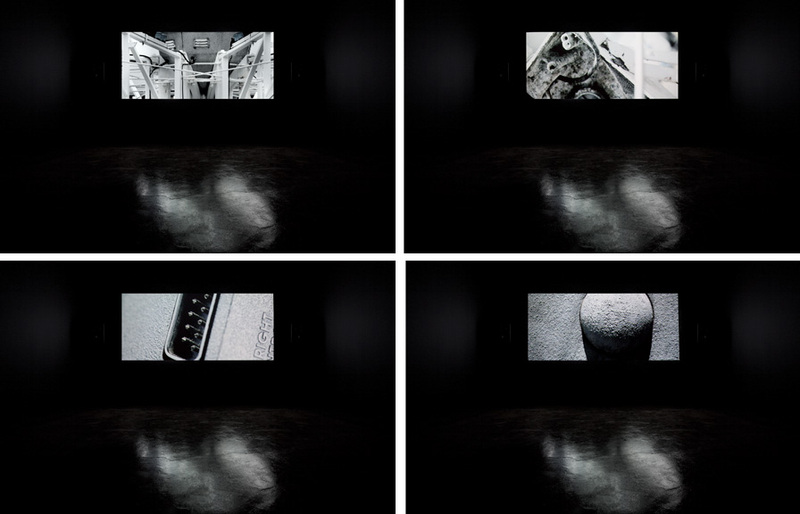 Six photographic diptychs of the same name visually present the "The Inverted Ghost" as an abstract monster-like form made of viscous black oil, split in two, it's eyes vacuous holes. The color black represents what might lie beneath, (the inversion of ), the white sheet that typically gives the ghost it's form. Two other photographic diptych's, Hoping the Light Will Save Us I and II, (both mirror images, one of an eye, the other of a hand extended bracing a rock), and a single photograph, Fake Imagery of a World Upside Down, (depicting a man falling from the ground as if gravity has been inversed), continue Grandmaison's exploration of the natural and supernatural worlds. 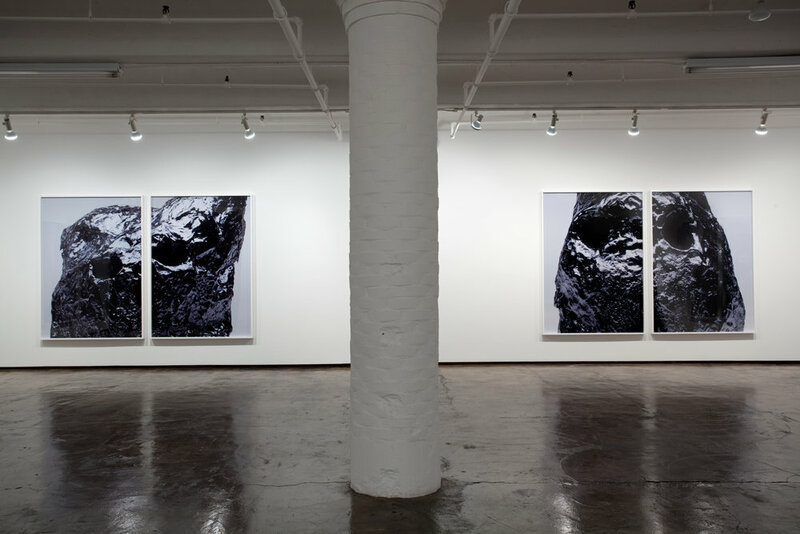 All three works are inspired by "Moon Rocks" a book about the collection, storage, and study of moon rocks. Rock, which is physically solid, becomes a metaphor for fact. The moon, and the green and bluish tint of the images, refers to Wittgenstein's "Remarks on Color" and science-fiction. This constant pull between reality and fiction and dichotomies is typical of Grandmaison's work which grapples with the complexity of our physical and psychological existence. Light My Fiction, the most recent of the two films on view, deals with the crossover between and evolution of physical and virtual forms of entertainment. Juxtaposing images from abandoned amusement parks including the one on Coney Island with those of video game consoles from different decades, Grandmaison shows how entertainment has been transformed from a relational experience to a singular game comprised of a complex arrangement of fictional time and virtual space. 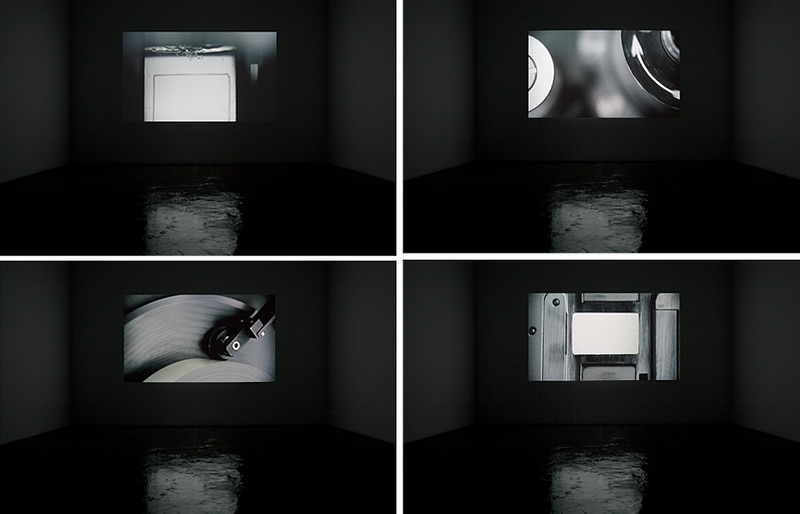 In The Neutrality Escape Grandmaison similarly takes equipment from another decade, the 16 mm movie camera, Eclair NPR, fabricated in 1963 , as his subject. At the time many considered the Eclair movie camera the equivalent of independent cinema due to its portability, and due to the coincidence of its introduction in the medium with "cinema verite". Grandmaison uses the equally revolutionary freedom and acuity of today's to render the original mechanical and optical instrument as a power and force of liberty that was sought at the time of its invention. Grandmaison uses the latest technology to explore the present and beyond while constantly referencing the past without a trace of nostalgia. With one foot grounded in reality and the other set free from gravity's pull he transforms "details of everyday objects into monumental objects fraught with ideas, he suggests a confluence of creative and mechanical processes. The things we invent or design - such as buildings, cameras, or books - are creative expressions. Like photographs, they help to frame our understanding of the world. Grandmaison's images remind us that we are the architects of our own perceptual limitations, and that the creative instinct is bound only by the limits of our own imaginations."